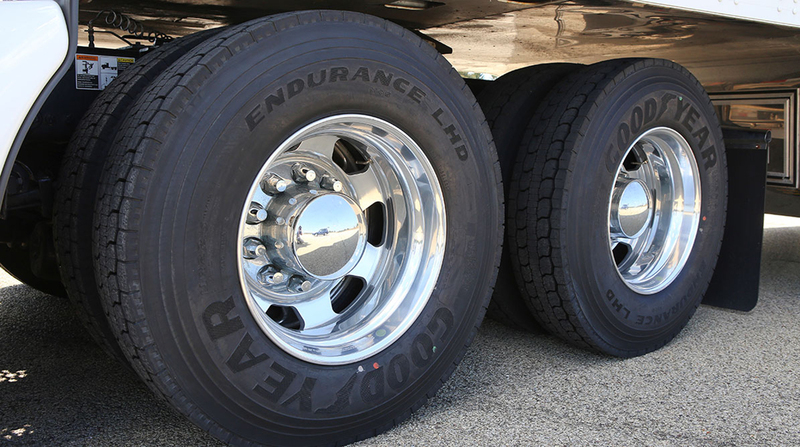 The Goodyear Tire & Rubber Co. introduced its Endurance LHS steer tire for longhaul applications, which complements its Endurance LHD drive tire. “Longhaul fleets are the biggest segment of the North American trucking market,” Mahesh Kavaturu, marketing manager for commercial longhaul and regional products, said in a statement. “When it comes to tires, these companies measure every mile. And they want to get as many miles as possible out of their tire investment, without sacrificing other performance benefits like fuel efficiency, even wear and traction. The LHS features new, wear-resistant tread compound, a new dual-layer tread, new rigid casing construction and new casing compounds, according to the Akron, Ohio-based company. The Endurance LHS is available in sizes 295/75R22.5 (Load Ranges G and H); 11R22.5 (Load Ranges G and H); and 11R24.5 (Load Ranges G and H). Another size, 285/75R24.5 (Load Ranges G and H), will be available next month.